If you're in need of some replacement brakes, EBC Brakes likely has a high performance option for you. 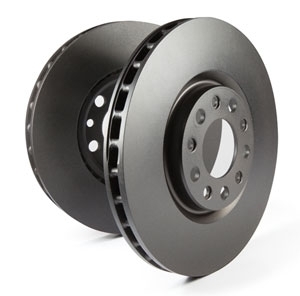 Made to fit be direct fit to your vehicle, these high performance brakes are designed to meet & exceed OE specifications, making them the perfect replacement upgrade. These brake pads are designed for 4x4 vehicles. They have a longer life compared to the 2000 series and offers better resistance to off-road conditions. An ideal upgrade for SUV or truck owners, these brake pads are a game-changer that they will highly benefit from. Overall, these are formulated to meet the needs of heavier vehicles. 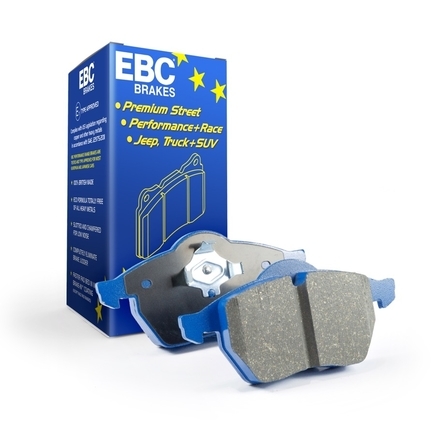 For the best braking system upgrade for your SUV or 4x4, this EBC brake pads will deliver to you the ultimate performance. It promises lesser noise and dust while boosting your braking system. You can also expect this to last longer than the 6000 series as they are harder, ensuring that you will be able to make use of these for a longer period of time thus helping you save more money. 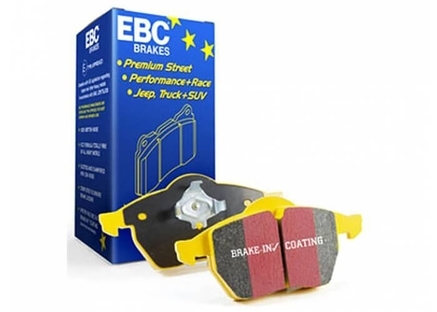 For the best replacement brake pads for your street racing, the NDX brake pads by EBC are a great choice. This comes in a harder material to ensure the highest quality. It wears evenly and you can count on it for that total stop. It is also very easy to install. 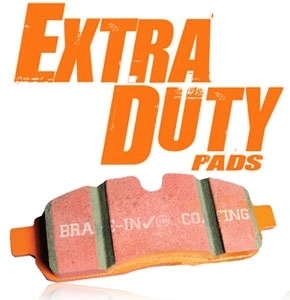 These brake pads will give you that better brake effect that you will truly appreciate. It is also organic, which is made from non-asbestos material. They fit properly and worn out evenly. Its built-in shims and red surface coating adds several advantages that will create a significant improvement to your braking performance. The Orangestuff 9000 Series Race is for race track use only and is EBC Brakes' faster-gripping pads. Boasting of a semi-metallic construction, this will deliver performance and long-lasting service to you. It also has all the right features that will reduce its squealing. For quality replacement brake pads, you will love this! These replacement brake pads are built to last. With ceramic pads, these ensures that it can withstand the heat. Designed for heavier vehicles and trucks, these brake pads also help improve your safety while you're on the road. You can count on these to have a longer life compared to other brake pads. 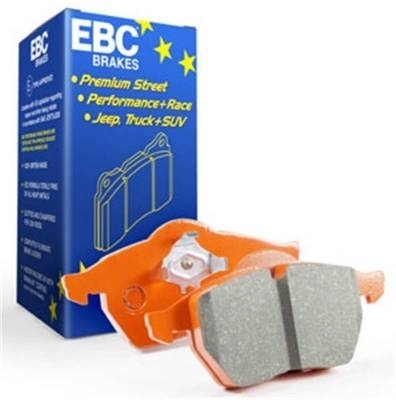 For the perfect brake pads for your SUVs, trucks and Jeeps, these particular ones from EBC will make a huge difference. Constructed from the highest quality using fade-free and low-dust material, it is ultra quiet and creates minimal brake dust. Aside from this, they are built to last you for a long time. If you want only the best quality out of a disc brake pad set, this is the perfect one for you. The ideal replacement for light vehicles, this one will give you all the right features that you want out of a brake pad. Its solid construction will ensure long-lasting use. Nothing is as powerful as these brake pads. If you're looking for the highest quality of brake pads out there, this is exactly what you're looking for. This is built and designed to give you the ultimate brake pad performance that will really last you for a long time & it's something that you will not regret! Make sure you're replacing your brake rotors with only the best. 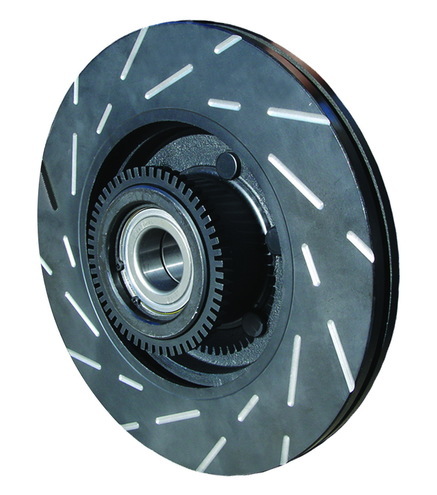 These ones from EBC brakes are made from cast iron which guarantees a longer life. It comes with all the right elements for a more efficient braking system plus it has protective finish that will keep harmful elements away. Replacing your factory disc brake rotor with this is one of the best things that you can do. What makes this very special is that it comes with dimpled indents that largely contribute to its performance. With a wider aperture and anodized finish? You have the best right here for sure. 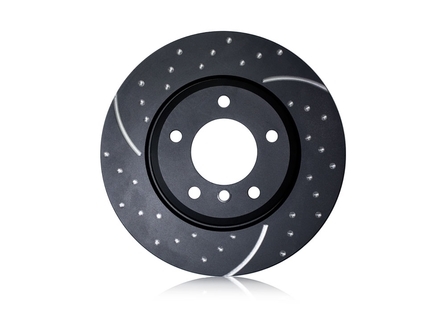 Constructed from high quality grey iron, this disc brake rotor is guaranteed to last. Designed for those who are looking for low noise brakes, this will give you what you want despite the weather conditions and whatever level of driving you plan to do. This is a great investment for you! With the EBC Brakes S1 Kits Ultimax 2 and its RK Rotors, you get yourself more confident daily driving. This will improve your braking system reducing brake shudders and squeals. At the same time, you get easier and safer driving that will put your mind at ease without having to splurge a huge amount of money! For the lowest noise brake rotors and brake pads that will give you the ultimate stopping power, this EBC Brakes S2 Kit will make a huge difference. Equipped with all the right features, this is ideal for normal speeds for sports compact and sedans. Plus, installation is easy as well. For a brake system that will truly give you the best performance, you can't go wrong with the EBC Brakes Greenstuff 6000 with GD Rotors. This brake system will give you the best quality and the best value for your money as well. You are only guaranteed the ultimate performance! 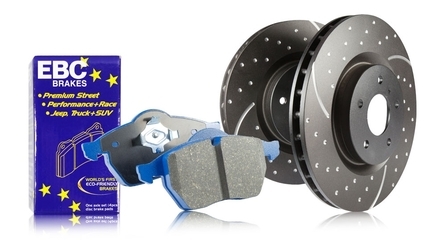 This set of brake pads and rotors will change the way your vehicle sounds and performs. It emits a lower noise even when you're doing aggressive towing or driving plus the brake pads have ceramic pads for maximum efficiency. You can guarantee that these will last you longer making sure that your investment is worth it. If you're looking for an upgrade kit for your rotors and brake pads, then you're on the right page. This upgrade kit is an economical choice that is ideal for normal and race car driving. With this, you get the highest quality and it will deliver to you everything that you need on the road. For that ultimate braking system, this EBC Brakes kit will give you everything that you need - that full stopping power and efficient brake pads that you will appreciate. This will allow you to drive in all conditions without having to worry about your brakes. Getting this for your vehicle is a great investment. There's nothing better but to equip your truck, SUV or Jeep with the most efficient braking system in the market today. This braking system kit will give you the power that you seek. Plus, it makes 0 noise at all. You will feel the power without hearing it and that's exactly what a good brake kit can do. If you're looking for the best brake performance for your vehicle, you will definitely get it out of this kit. This kit has all the right features that you need to achieve the best braking system that will highly benefit you and your vehicle. Plus, it's high quality so you know for sure this will last you longer! For that complete brake system overhaul, this EBC Brakes kit will make a huge difference. With this, you get to save more money and at the same time, you get high quality and improved braking system performance that you never thought possible. It's the best choice for those who wants quality in an affordable price! 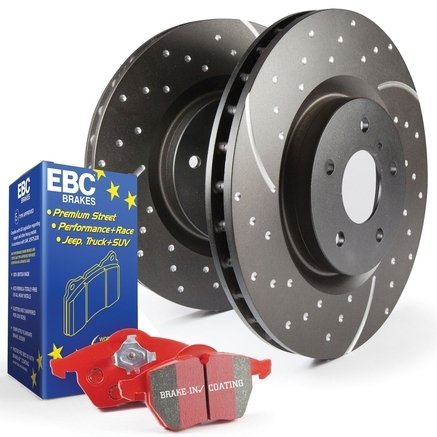 When it comes to a complete brake system kit, this S11 kit from EBC brakes is one of the best. If you want superior quality without breaking the bank, then this is definitely the one for you. The rotors and brake pads that this kit includes have all the right features that you need for your braking system. If you're looking for a replacement brake system kit that is affordable and will give you the performance that you want, you're on the right page. This EBC brakes kit that comes with RK Rotors will perfectly deliver to you the kind of improved performance that you want out of your braking system. 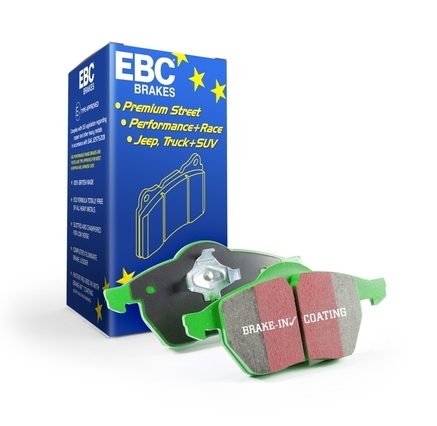 For the best package, this EBC brake pads with RK Rotors is your best choice. It comes with efficiency rotors that will improve the performance of your braking system along with an even more efficient brake pads. With this brake system kit, you get everything that you need for sure. 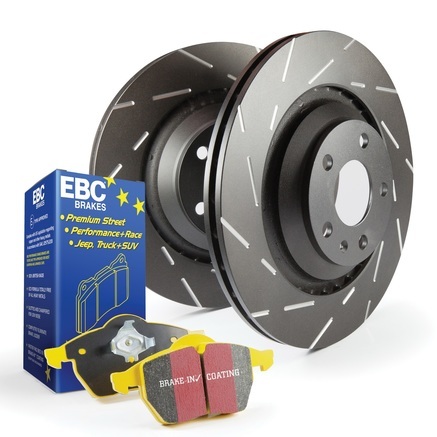 This EBC Brakes with RK Rotors is designed for trucks and SUVs. 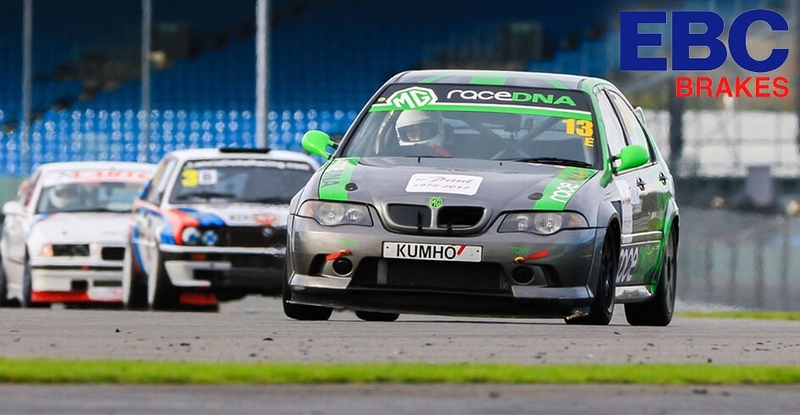 So, if you're looking to upgrade your braking system, the S14 Kits Greenstuff is definitely the one for you. It will deliver to you the highest quality. In turn, you will feel more confident and safer on the road. 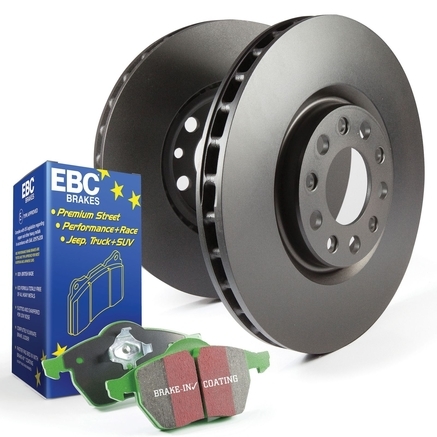 If you want the best braking system, this EBC Brakes system kit is worth the purchase. 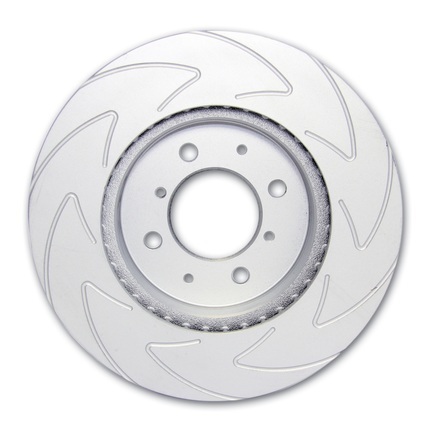 With durable rotors that are efficient and will give you that full stopping power along with its brake pads that will reduce squealing, you are getting yourself a worthy investment that you will be very happy with! 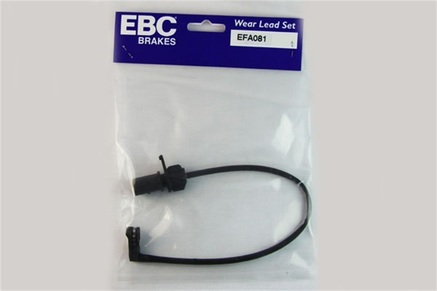 If you want safer driving, adding this disc brake pad sensors from EBC brakes to your vehicle will be a huge advantage. This will warn you if the brake pad's life is too low, which means you will be able to replace it as early as possible. With this, you get more confidence on the road. With over 400 employees and over 5000 vehicle applications, EBC Brakes has an option for nearly every vehicle on the road. EBC Brakes manufactures their brake pads, disc brakes and rotors at either their USA or UK factories, which helps them maintain high quality engineering. PartCatalog.com is a proud retailer for EBC Brakes. 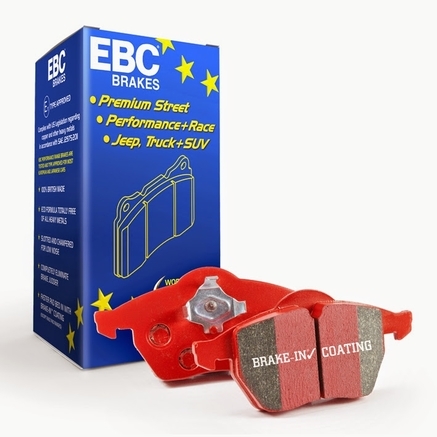 For more information on EBC Brakes, please visit the EBC Brakes official website.